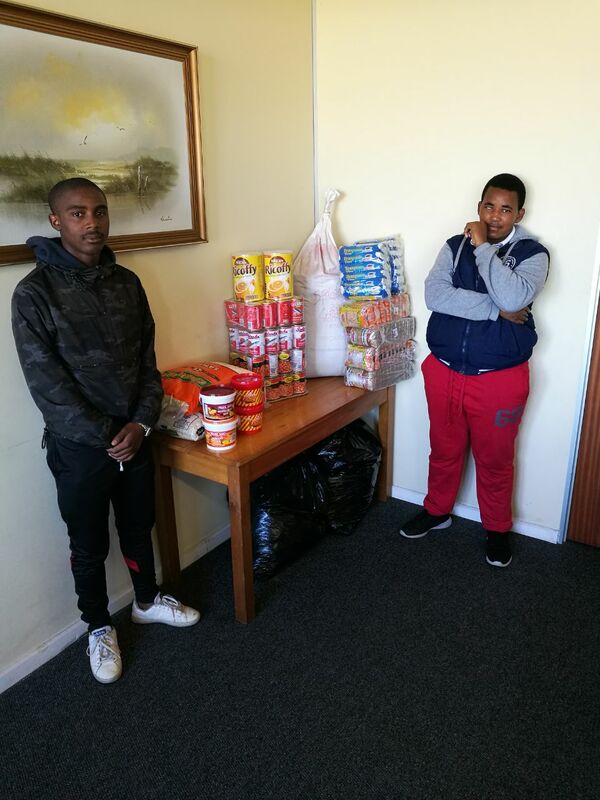 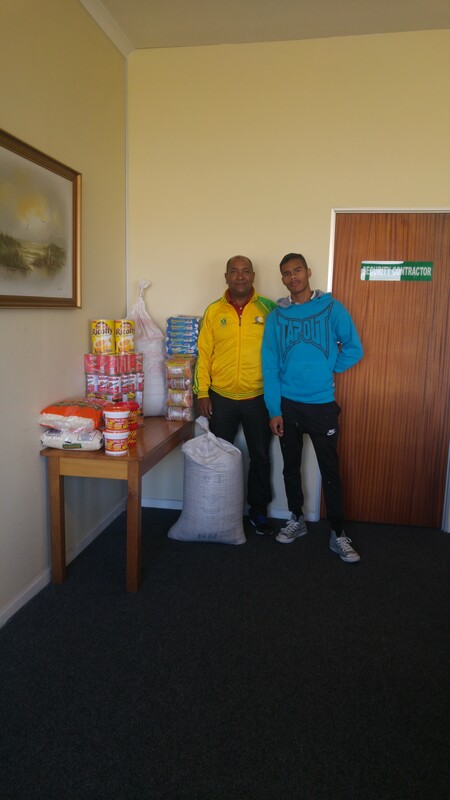 The ECID handed out the following food items to the Church of the Nazarene in Bonteheuwel and the Langa Baptist Church; 4 x 750g coffee, 2400 tea bags, 4 kg peanut butter, 4 kg jam, 48 cans each of pilchards and baked beans, 20 kg of lentils, 20 kg dry soup mix and 40 kg samp kindly donated by Giant Hyper and 300kg gravity beans donated by Pioneer Foods. Accepting on behalf of the Church of the Nazarene is Reverend Quinton Williams & S. Josias (top left) and for Langa Baptist Church is Viwe Zono & Lubabalo Ntsundushe. (top right).